We believe that global health is positively impacted by providing quality maternal child healthcare from conception through postpartum. We are committed to providing this quality care, as we know, it will have far reaching impacts on the future of our world. To continue to provide excellence in midwifery and healthcare services to families in interior Alaska, as defined by exceptional staff, depth of experience, and continual evidence-based education and practice. Serving the community and supporting families with respectful, compassionate care, and through quality 'best-practices' midwifery and healthcare. Ensure the people we serve feel welcomed, accepted, nurtured, empowered, respected, valued, and supported. Commit to be inspired by passion for life, kindness, truthfulness, and a desire for a healthy community and be optimistic for a hopeful future. Since the early 1980's, Alaska Family Health & Birth Center (AFH&BC) has provided families living in Alaska with safe and high-quality maternity and well-woman care. We are the longest standing out of hospital birth center in Fairbanks, Alaska. Both first time mothers and experienced mothers are welcome. We have assisted thousands of women in co-creating the birth experience they desired, whether in the privacy and comfort of our facility or in the intimacy of their homes. Babies born into the hands of our midwives are now returning to have babies of their own. AFH&BC is a true community based Birth Center that has served generations of families in Alaska. These very families helped to fund and build the dedicated Birth Center opened in 2012. 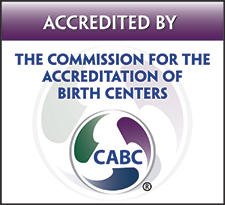 AFH&BC has a non-profit designation (Via Vita Health Project, Inc.), is licensed by the state of Alaska, and is CABC accredited, ensuring that we are practicing the highest quality of care.